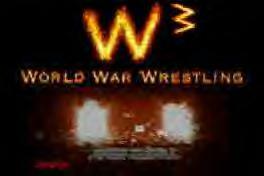 Welcome to World War Wrestling. Last Updated 8/02/01. Please click the banners below so we can get more members! 8/02/01: The WWW has it's first member, that being a man named Rando Sun. Let's hope that we keep getting members and the fed keeps getting bigger. 8/02/01: The Roster has been updated, and the bios have been updated.